The explorer and TV presenter Paul Rose lives a bipolar existence: he is used to hardships but loves flying business class. The life of Paul Rose, the explorer and mountaineer, is so dangerous that he finds it impossible to get life insurance. 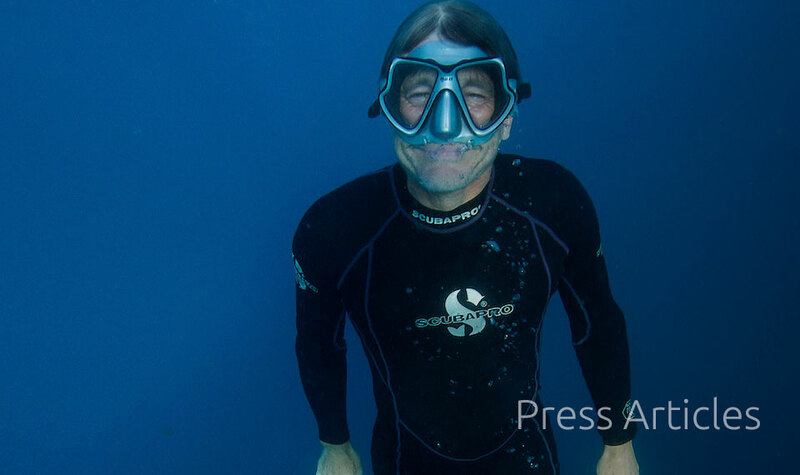 The vice-president of the Royal Geographical Society (RGS) is well known for his work presenting BBC series such as Britain’s Secret Seas, which was broadcast this summer, and Oceans. Born in Elm Park, east London, Rose’s first job was at 16 in the Ford motor plant in Dagenham. In 1974 he moved to America and qualified as a mountaineer, diver, polar guide and yacht skipper. He ran the US Navy diver training programme at Naval Station Great Lakes and trained divers in the police, fire department and underwater recovery teams. He returned to Britain in 1988 and has been a mountain and polar guide, led expeditions across the ice-cap in Greenland, and provided logistics support for polar science expeditions. He also worked for four years as a safety consultant to the oil industry in the Middle East. He was base commander of Rothera Research Station, Antarctica, for the British Antarctic Survey for 10 years until 2002, for which he was awarded the Queen’s Polar Medal. He also received the US Polar Medal for his work with Nasa and the Mars Lander project, which involved climbing Mount Erebus, Antarctica’s most active volcano. Rose, 59, who lives beside Windermere in the Lake District, is widsed and has a son, Scott, 32. He will be swimming in the Blue Mile event, in support of the wildlife charity WWF, in London on September 4 (visit wwf.org.uk/bluemile or call 0239 231 2008 to participate). I have £700 and 10 Swiss francs. I don’t normally wander about with that much but I’m about to go to Greenland to take a field science team to Liverpool Land. I go to Greenland a few times a year and the last time, I forgot to advise my bank, Barclays, that I was heading overseas. I couldn’t get cash or pay for anything. Since then I have taken money with me. I have a WWF credit card, which is provided by MBNA. I’m a huge supporter of WWF and the card donates money to the charity for every purchase. The rates are also decent and I’ve always been happy with the service [it offers 0% on balance transfers for 12 months and charges 16.9%]. I’m an avid collector of air miles — I’m a member of various schemes, including British Airways and United Airlines. I managed to use them to fly to Antarctica business class — well, almost — thousands of miles got me to New Zealand and I took a flight from there. A spender. I tend to live a bipolar existence — it is feast or famine. My work is sporadic and the fees come in at different times, so I’m not in a position to put aside a set amount each month. I normally spend two or three months every southern summer (between October and February) in the Antarctic, living in a tent. I also make two or three expeditions to the Arctic each year. I like living in a tent but, then again, I love flying home in business — that glass of champagne before take-off feels absolutely great. Do you save into a pension? Not at the moment. I have a pension from the British Antarctic Survey. It’s index-linked and I’ll be incredibly grateful for it when I turn 60. I have a small savings account, but mainly use my offset mortgage from Coventry building society. For someone like me, who is self-employed, it is very useful. When I get a fee or an advance on a book, I use a chunk to offset the mortgage so I pay less interest. On the other hand, when I have a big tax bill to pay, I can take out the money from the offset account. I spend about half the year in my house at Windermere. I bought in 2002 for £155,000 and when I had it valued for the mortgage recently, it came out at £360,000. The housing market is very difficult at the moment but I think some areas of the Lake District are cushioned because of tourism — it seems prices have stayed broadly the same. How do you manage your finances when you are away so much? I have a great accountant at Martin Greene Ravden (MGR), the accountancy firm, and I also get help from United Agents, the talent and literary agency. Getting insurance is difficult, though. When I’m working as a diver, mountain guide, or yacht skipper, I get cover through various professional organisations, such as the Professional Association of Diving Instructors. However, it becomes difficult when I lead riskier ice-cap crossing expeditions in Greenland. I have to buy extra insurance, which is often expensive at £700 a trip. I can’t get life insurance anywhere — I’m too big a risk. I always try to earn about £75,000, though last year was weak financially but strong personally because I did lots of great projects. I was filming Britain’s Secret Seas. The programme was a big success but I spent about 18 months getting it off the ground while earning no fee. I started out at the Ford factory as an apprentice toolmaker, learning to make the huge tools that build car bodies. I moved my family to America to work as a toolmaker. I then got diving and mountain guide qualifications, leaving engineering to do those things full-time. My wife, Sheila, was having our son Scott and I started to recognise what it’s like not to have much money — I had to spend most of it on equipment. What has been your most lucrative work and did you use the money for anything special? Co-writing the Oceans book to accompany the series — the advance was great because three publishers were competing for the rights. I used some of the money to go on holiday to the Seychelles, Mauritius and Rodrigues to visit a big RGS science project. Yes. My dad fought in the army during the war and then worked at Ford for more than 30 years. Not at the moment. I had a personal equity plan (Pep) for a while, run by Jupiter Asset Management, into which I invested money each month. I sold it because it didn’t really go anywhere. What’s better — property or pension? I’d advise anyone to have both. The pension situation is very bleak in the UK, so I’m lucky to have the Survey pension, which will keep me going in basic supplies. To some extent, I’m relying on my house for the future — I can always let or sell it if needed. My diving and mountain guide qualifications. Looking back, they probably didn’t cost much but, at the time, were enormous investments. In 1984, a colleague and I bought a shop that sold every kind of outdoor equipment you can imagine and ran long-haul adventure travel experiences. It was a financial black hole because we didn’t know anything about the retail travel market. When I managed to climb Denali — that’s its proper native American name, but Mount McKinley is what most people call it — after a previous failed attempt, I bought a first-class flight back to London from Alaska to celebrate. I’m not sure that the government offers enough tax incentives to drive business to be greener. Once in a blue moon. If I scored the jackpot I would establish another RGS grant for expedition funding. What’s the most important lesson you’ve learnt about money?